With clean lines and bayonet temples, Climb sunglasses exceed ANSI Z87.1-2003 and EN166 (F) safety and optical standards and protect your eyes from 100% of damaging UVA and UVB rays. 5.11 Tactical Climb Sunglasses are available with Plain (52014) or Polarized (52024) Smoke lenses. 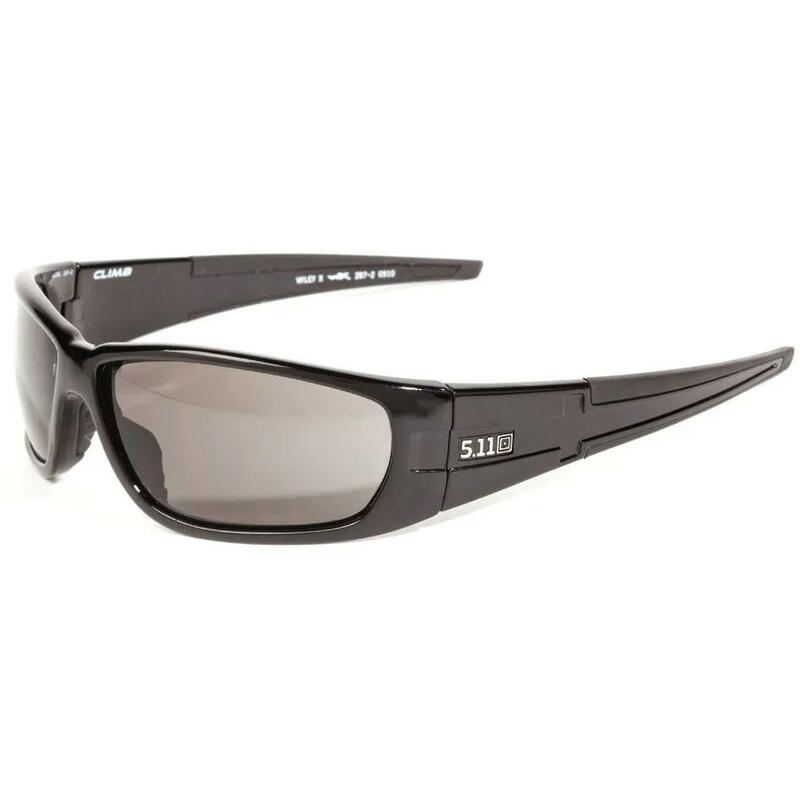 Created in partnership with Wiley X® Performance Eyewear, who designs and manufactures exclusive eyewear for 5.11 Tactical. Smoke lenses provide maximum glare reduction, won't distort colors, and are excellent in bright/glare conditions. T-ShellTM coating means resistance to scratching, cracking, and crazing. SeleniteTM polycarbonate is die-cut to produce lenses without distortion from any angle and is ten times more impact resistance than glass or resin lenses. Frames are built with GrilamidTM TR-90, a homopolyamide nylon characterized by an extremely high alternative bending strength, low density, and high resistance to chemical and UV damage. They are virtually indestructible.